SET-Routes - International Conference - Speakers - Carlos Martínez-A. Carlos Martínez-A. is the president of the Spanish National Research Council (CSIC) and professor of immunology at the CSIC. He carried out his Ph.D. studies on B cell function at the Cl�nica Puerta de Hierro and the Universidad Complutense in Madrid, Spain, where he received his Ph.D. degree in 1978. He was a member of the Basel Institute for Immunology until 1981, and subsequently held research positions at the University of Umeå, Sweden, the Cl�nica Puerta de Hierro, Spain, and the Centre National de la Recherche Scientifique and The Institute Pasteur in Paris, France. He has been visiting professor at the Ontario Cancer Institute, Toronto, Canada, the Max Planck Institute for Immunology in Freiburg, Germany, and the California Institute of Technology, USA. He became Full Professor at the Spanish Council for Scientific Research (CSIC) in 1986, working first in the Centro de Biología Molecular and later in the Centro Nacional de Biotecnología, where he formed the Department of Immunology and Oncology (DIO) in 1993. Over the last 30 years, Carlos Martínez-A. has studied leukocytes in several fields from cellular immunology to autoimmune disease and has published more than 400 papers in international peer-reviewed scientific journals, as well as requested reviews in journals and books. With his co-workers, he has studied lymphocyte activation, the role of chemotactic responses in physiological and pathological settings and the molecular mechanisms implicated in the control of cell death and autoimmunity. He was awarded with the Royal Society of Natural Sciences Prize, Spain 1990, the Fundación Ciencias de la Salud, Spain 2000, the XI DuPont Prize for Science, Spain 2001, the VIII Premio Carmen y Severo Ochoa, Spain 2001, the Rey Jaime I Award for Scientific Research, Spain 2003, the Award Lilly de Investigaci�n Precl�nica, Spain 2004, the Award for Scientific Research of Castilla y León, Spain 2004, and the International Galen Award for Scientific Research, 2004. He is Doctor Honoris Causa from several universities and member of several academies. He is member of the EMBO Council, the Governing Council of the European Science Foundation (ESF), the Steering Committee of EUROHORCS. He is vice-president of EUROHORCS, and serves in committees in several international organizations including NATO, EU, HFSP. He collaborates regularly with the press to help extend to the public the current analyses of scientific developments and their implications for human health. 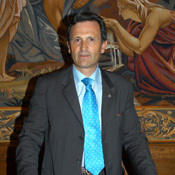 Carlos Martínez-A. 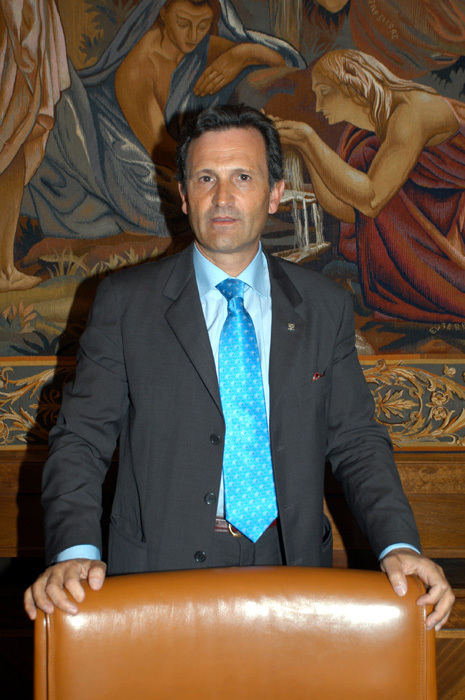 was named President of the Spanish National Research Council (CSIC) in May 2004.